There are many Long Branch pest control companies, but most deal with extermination of insects. We deal strictly with wild animals, such as raccoon, skunk, opossum, and more. Wild Boys Wildlife Removal differs from the average Long Branch exterminator business because we are licensed and insured experts, and deal only with animals. We are not merely trappers, but full-services nuisance wildlife control operators, offering advanced solutions. Long Branch wildlife species include raccoons, opossums, squirrels, rats, skunks several species of snakes and bats, and more. Many animals can cause considerable damage to a house, not to mention contamination. We offer repairs of animal entry points and biohazard cleanup and we guarantee our work. Our Long Branch rodent (rat and mouse) control is superior to other pest management companies. All of our wildlife trapping is done in a humane manner. Of course, we are properly New Jersey state licensed. We are highly experienced in Long Branch raccoon removal, squirrel removal, bat control, and more. We at Wild Boys Wildlife Removal believe we are the best Long Branch trappers of wildlife, and would be happy to serve your Long Branch bat removal or pigeon and bird control needs with a professional solution. Skunks, moles, and other animals that can damage your lawn - we trap them all. 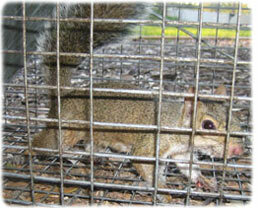 Our professional pest management of wildlife and animals can solve all of your Long Branch critter removal needs. Our specialty is removal of animals in homes such as raccoons in the attic or squirrels in the attic. If you need Long Branch pigeon control, Canada geese or other bird removal, we can help. We are experts with skunk problems, digging animals such as armadillos, & groundhogs, and we offer New Jersey dead animal removal. We trap mice and voles. We do home repairs, animal prevention, and removal of critters from the attic, ceiling, basement, animal in the wall, and any part of a building. Give us a call at 732-606-4077 for a price quote and more information. Remember, we at Wild Boys Wildlife Removal run a wildlife removal company, and charge for our services. If you are searching for help with a dog or cat issue, you need to call your local Monmouth County animal control or SPCA. They can assist you with problems such as a dangerous dog, stray cats, lost pets, etc. There is no free service in Monmouth County that provides assistance with wild animals. House restoration cost after skunk - The restoration cost to your home after a skunk has invaded depends on where the skunk entered and how much damage was done. If the animal was living under a porch or a deck, the costs will likely be minimal, and will probably just include the cost of using a special cleanser to help minimize the odor. A skunk that is in the crawlspace of the home will have created more damage by digging and marking. This area will need to be cleaned out thoroughly as well as repaired. You can't plan on removing the skunk and its odor without planning on repairing the hole in your foundation. If you leave the damage as is, more skunks or other wildlife will eventually move in. The cost for all of this might not be cheaper if you do it yourself. There is a large amount of trial and error that accompanies this type of task, and if you're not able to make the repairs correctly, you'll just have to hire a professional afterward. 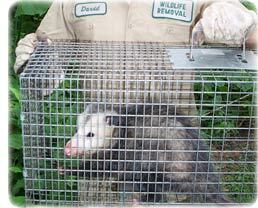 All Wildlife Removal Service, LLC was established in 1998. We are a fully insured and licensed company that specializes in devoting ourselves to professionalism towards nuisance wildlife problems and animal control. Our varied experience and continuing education provides us with a solid base of biological and wildlife damage control knowledge. Education of our clients is an important component as well, and we take extra care to ensure that our clients are aware of their nuisance animal's biology and behaviors. All Wildlife Removal Service, LLC evaluates each problem and presents the solution that will best fit our client's needs. Written proposals and/or presentations of our customized solution are available upon request. MOST IMPORTANT, OUR WORK COMES WITH A WRITTEN WARRANTY! That's right -- if your nuisance animals come back after we've removed them and repaired the structure, so does All Wildlife Removal Service. We will fix the problem free of charge. We pride ourselves on being solutions-oriented and on our dedication to professionalism. We work with and consult local and state agencies and other animal-specific control experts. Also, we are staffed with Certified Animal Control Officers and a Wildlife Biologist Consultant. Our company handles residential, commercial, municipal, institutional, and governmental animal problems. We handle ANY animal situation that may be encountered and we enjoy solving the problems that others cannot! We are even available for animal carcass removal. From Toms River to Edison, from Princeton to Marlboro, All Wildlife Removal Service proudly serves many parts of New Jersey. Call our office today to let All Wildlife Removal Service, LLC solve your nuisance animal conflicts. We guarantee it. Producer Josh Adams and anchor Kristen Delaney worked with the Cole Wildlife management area Veterinary Hospital and Dr. Hank, who agreed to quarantine the groundhogs or opossums for free. For additional information, call the animal services of Long Branch, New Jersey. "It has eased some of the trauma of my wife's rabies treatment," The fastest wild animal in the west declared. "There have been many sick, uncomfortable days for her, but she has risen to the occasion. She may have been delighted to hear her wild animals had been saved." Though they may offer assistance with the cuddly wild critters, don't expect help with growling wild critters. Pagel-Catwofellow declared the hospital often sees owners forced to euthanize wild animals because of the cost of quarantine. She declared to her knowledge, Cole Wildlife management area may be one of the few hospitals in the area willing to quarantine non-vaccinated animals who were exposed to rabies. Animal and carcass elimination services in Monmouth County is dedicated to helping New Jersey and Long Branch. Monmouth County has had 20 confirmed cases of rabies this year. While that's twice as many as last year, Director of Monmouth County Animal Services Bob Da Dawg Show declared the increase may be probably because of increased awareness and reporting by residents. No response may have been concerned by Monmouth County animal services. If you need Long Branch raccoon removal, rat trapping, squirrel removal, or have any questions about a wildlife problem in Long Branch, please give Wild Boys Wildlife Removal a call at 732-606-4077, and we will listen to your problem, give you a price quote, and schedule an appointment, usually same day or next day, to solve the problem.